Looking to make all of your bedroom furniture match? 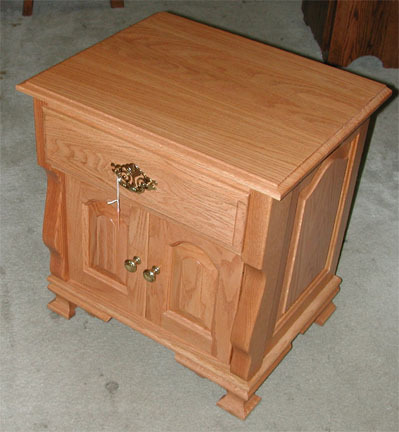 Well here is the night stand that goes with our 62” and 72” dressers, and the matching Armoire. Drawer features the same sturdy dovetail construction found in the dressers. Doors open to reveal an additional storage area below, or as an option you can have 3 drawers. Measures: 24” Wide, 26” High and 19” Deep.